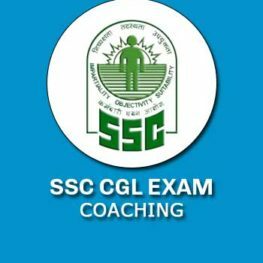 SSC CGL coaching admissions are already started. Apply now. For more info please contact 8750081919. SSC Combined Graduate Level exam is popularly known as SSC CGL. Which is conducted by SSC for various central government posts in India. It is one of the most fiercely competed exams for government jobs in India. In which more than 15 lakhs candidates participates. As we have 7th pay commission next year. There is a recommended increment of upto 50% in salaries for various SSC CGL jobs. There’s another reason why SSC CGL jobs are the most sought after. That are – authority, power and high chances of becoming gazette officer. Not just these benefits, SSC CGL is high lucrative option. Nevertheless, competition is the detrimental factor. To beat this competition, you need hard work, proper guidance and effective preparation. Learning Skills offer SSC CGL coaching in Delhi that gets you sorted. Our coaching helps you to understand all concepts thoroughly. And acquire relevant skills in English and mathematical ability. Our experienced faculties are themselves have cleared SSC CGL exam. And helped many students from all walks of life to clear SSC CGL exam. We also engage toppers and experts that again guide you with right strategy to crack SSC CGL exam. Moreover, audio-visual support, slide presentations, in-depth study notes and book resources are add-on. A complete wholesome package you get in our SSC CGL coaching in Delhi (GTB Nagar). We always try to work on weak points of students. With special mock test series and test tracking we track your preparation and performance. At present, we have offer SSC CGL coaching in GTB Nagar near Mukherjee Nagar to aspirants. This course is equipped with all important benefits and features that will allow students to learn and crack SSC CGL exam. SSC CGL 2017 notification to be out in last week of April 2017, stay tuned for more updates. Do you want to stay updated with all latest alerts for SSC CGL? Do you want to get free tips and tricks for SSC CGL exams? Then follow us now on Facebook. Admission are open for the SSC CGL 2017 exam coaching, click on the button below to apply now.